The Kansas Motorcycle Museum would like to invite you, your family and friends to Marquette to tour the historic downtown business district. There are many interesting business attractions and several eating establishments open for business along Washington Street. 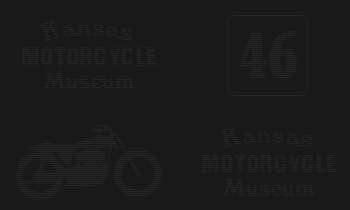 The Kansas Motorcycle Museum continues to grow in popularity and strives to provide new and interesting exhibits. We depend upon donations to meet our financial needs and any contribution you can give at this time is greatly appreciated. "play" button, thumbnail strip and scroll bars.